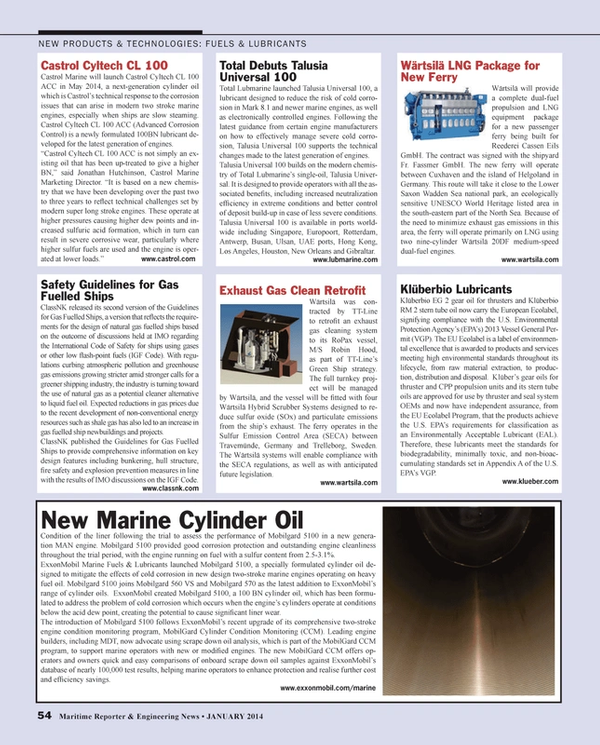 Klüberbio EG 2 gear oil for thrusters and Klüberbio RM 2 stern tube oil now carry the European Ecolabel, signifying compliance with the U.S. Environmental Protection Agency’s (EPA’s) 2013 Vessel General Permit (VGP). The EU Ecolabel is a label of environmental excellence that is awarded to products and services meeting high environmental standards throughout its lifecycle, from raw material extraction, to production, distribution and disposal. Klüber’s gear oils for thruster and CPP propulsion units and its stern tube oils are approved for use by thruster and seal system OEMs and now have independent assurance, from the EU Ecolabel Program, that the products achieve the U.S. EPA’s requirements for classification as an Environmentally Acceptable Lubricant (EAL). Therefore, these lubricants meet the standards for biodegradability, minimally toxic, and non-bioaccumulating standards set in Appendix A of the U.S. EPA’s VGP.